Teledyne DALSA (NYSE:TDY), a Teledyne Technologies company and global leader in machine vision components and solutions, will exhibit its industrial vision solutions in booth #931 at Automate 2015. Held bi-annually, Automate showcases the full spectrum of automation technologies and solutions and takes place March 23-26, 2015 at McCormick Place in Chicago, Illinois, USA. 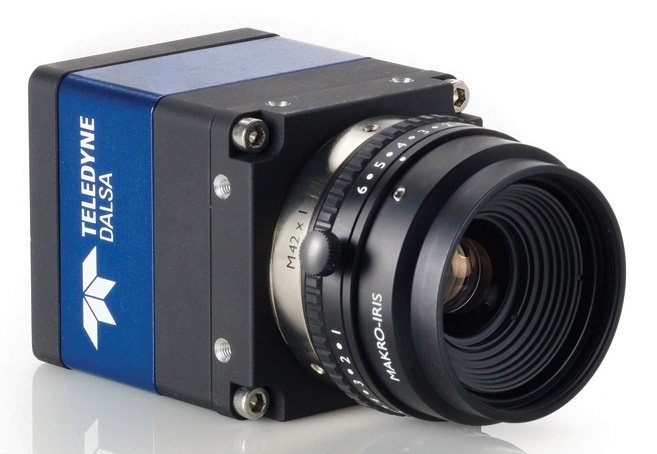 Teledyne DALSA offers a comprehensive portfolio of vision components including area and line scan cameras and frame grabbers, ideal for OEM system integration; as well as advanced smart cameras and vision controllers bundled with ready-to-deploy application software for the factory floor. Advanced Vision Software Solution - Teledyne DALSA vision systems include user-configurable software that can be deployed in a wide variety of industrial inspections. Focused on simplicity and ease-of-use, our vision software allows users to get up and running with an inspection application in a matter of minutes. Single and Multi-Camera Vision Systems - The BOA™ is a standalone smart camera series offered in a range of resolutions and performance models for both monochrome and color inspections. GEVA™ multi-camera vision systems provide up to six high speed GigE camera ports, with multi-core processing. BOA and GEVA platforms ship with a choice of application software to suit a widening number of factory floor applications. Vision Components for OEM Applications - Teledyne DALSA offers low-cost, high-value area and line scan cameras to support OEM applications. Field proven and versatile, the Genie™ (GigE Vision) series offer resolutions from VGA to 12 megapixels, with high dynamic range, and frame rates to 300 fps. Teledyne DALSA's new, low cost, Linea™ line scan cameras, with Camera Link and soon-to-be-released GigE Vision interface, provide 2k, 4k, or 8k single line imaging at up to 80 kHz line rate.